This magnificent necklace features The Carnelian stone nugget promotes warmth harmony & appreciation of nature multi Carnelian Stone Nugget Chips beaded multi drop Tassel Necklace. 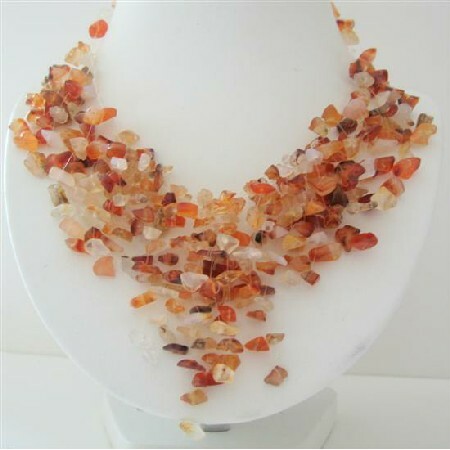 Jazz up your clothing with this stylish beaded Carnelian ensemble! Versatile design is combined with splendor as graceful earrings a beautiful necklace multi tassel necklace iridescent Necklace & look pretty with many of dresses. Celebrate your individuality. Variations in the color & pattern.